Sam Smith's hit single Stay with Me is number 10 on the Billboard Hot 100. That one event would be a career high point for a new artist, but Sam is also the featured artist on Disclosure’sLatch and Naughty Boy’s La La La. Both of which are currently on the Hot 100 as well. That's three tracks blowing up the chart and airwaves, plus Sam’s first album In The Lonely Hour just dropped this week …not bad for a 22 year old who was relatively unknown a short time ago. With all this new found success you’d think the young Brit might take a holiday, but Sam recently tweeted that he’s already working on his sophomore album. Right now I'm working on vicious HK remixes of Sam’s current tracks! 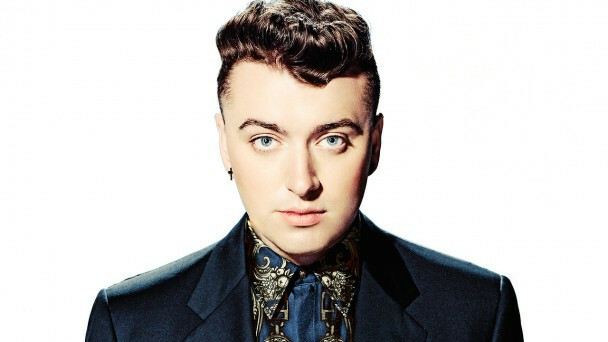 This weekend I’ve got Sam Smith and all your fave hits like you’ve never heard them before, back 2 back and beat 2 beat! Get ready for a power surge of custom HK remixes when I slay the decks with Ariana Grande featuring Iggy Azalea’s Problems, Ed Sheeran – Sing, Paramore – Ain’t It Fun, Katy Perry – Birthday and Nico & Vinz – Am I Wrong. I know I’m not wrong when I tell you that’s just tapping the keg! So whatever you do, don’t miss a sonic second of In The Mix with HK™ this weekend! WILL THERE EVER BE ANOTHER MICHAEL JACKSON? POPS OF POP ON IN THE MIX WITH HK!